Kit #32-121. 1/32 scale. 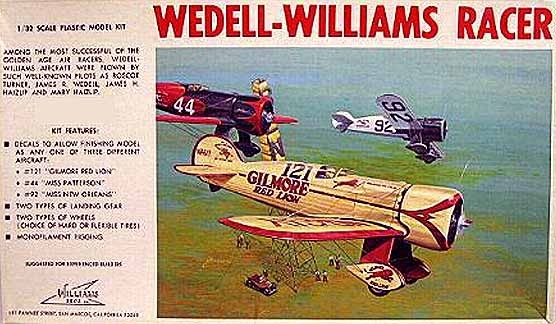 Includes decals to finish model as any of three different aircraft: #121 Gilmore Red Lion, #44 Miss Patterson, or #92 Miss New Orleans. Box art by John Amendola.